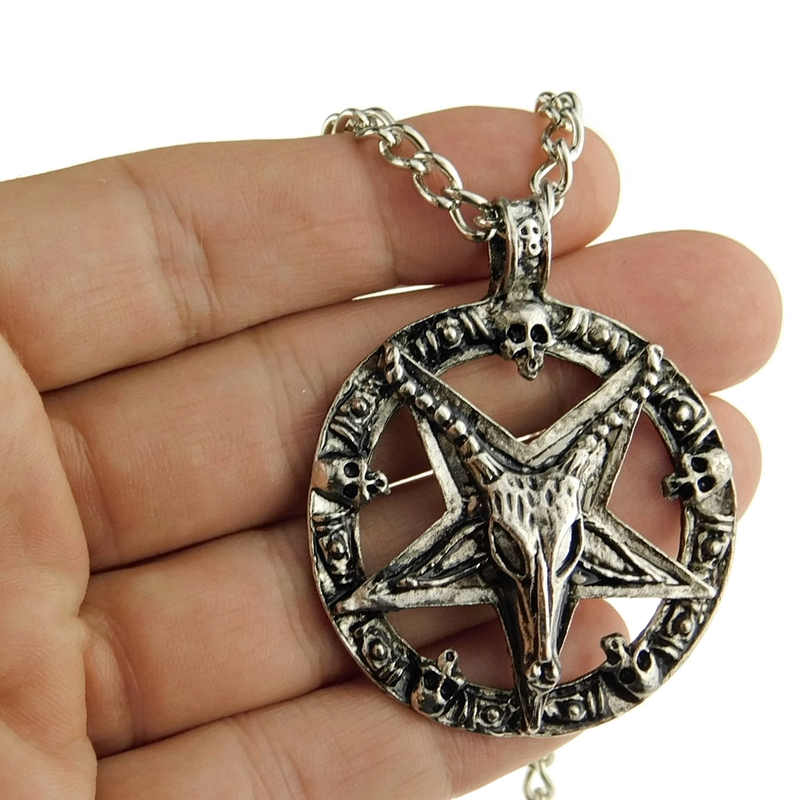 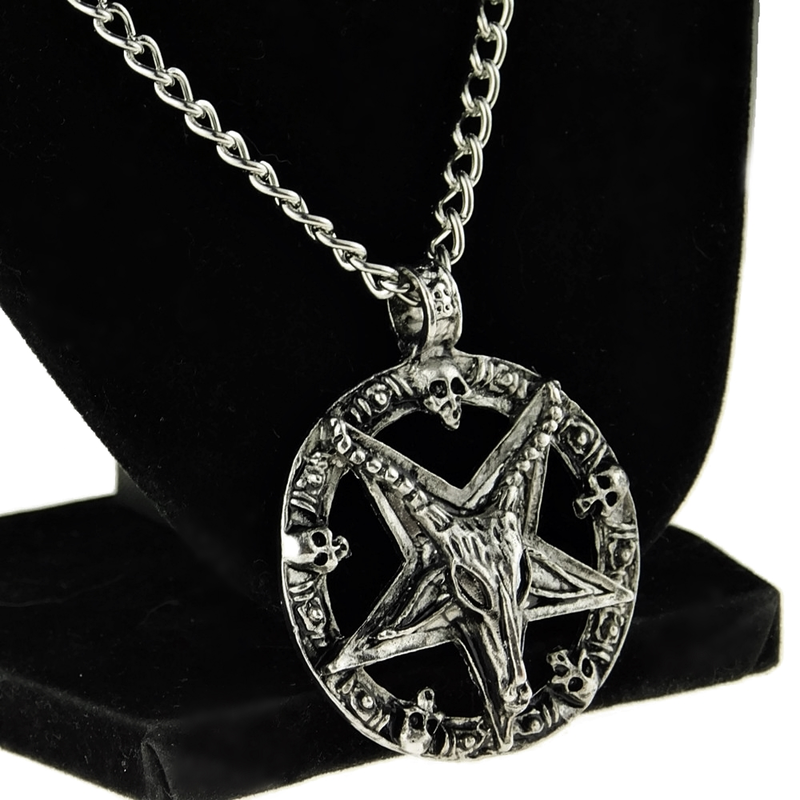 Beautiful Baphomet 3D inverted pentagram pendant on a sturdy metal chain necklace. 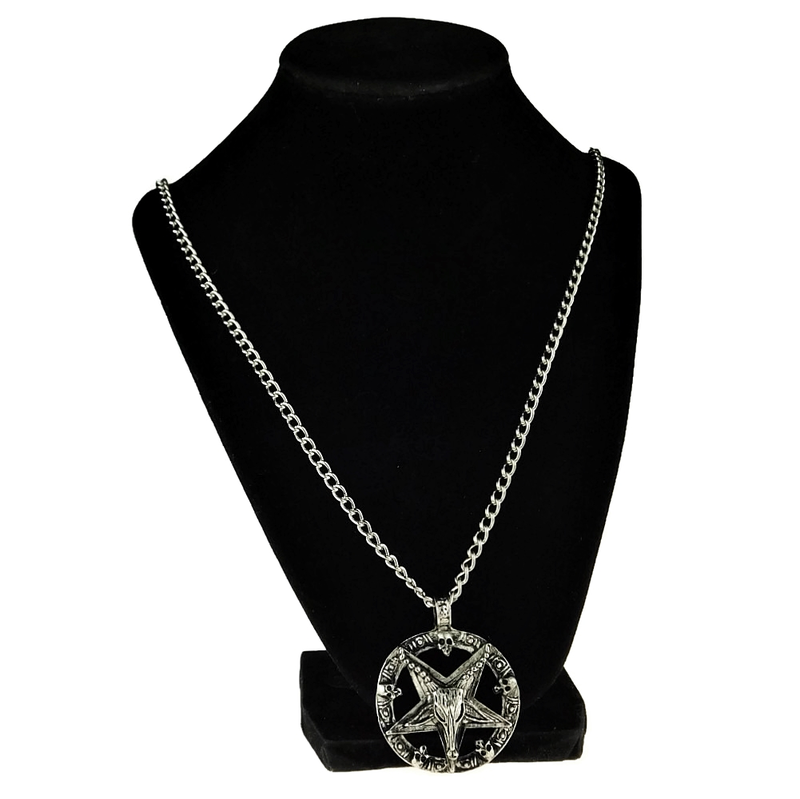 Simple yet elegant chain necklace is 28 inches long with a stylish and secure lobster claw clasp. 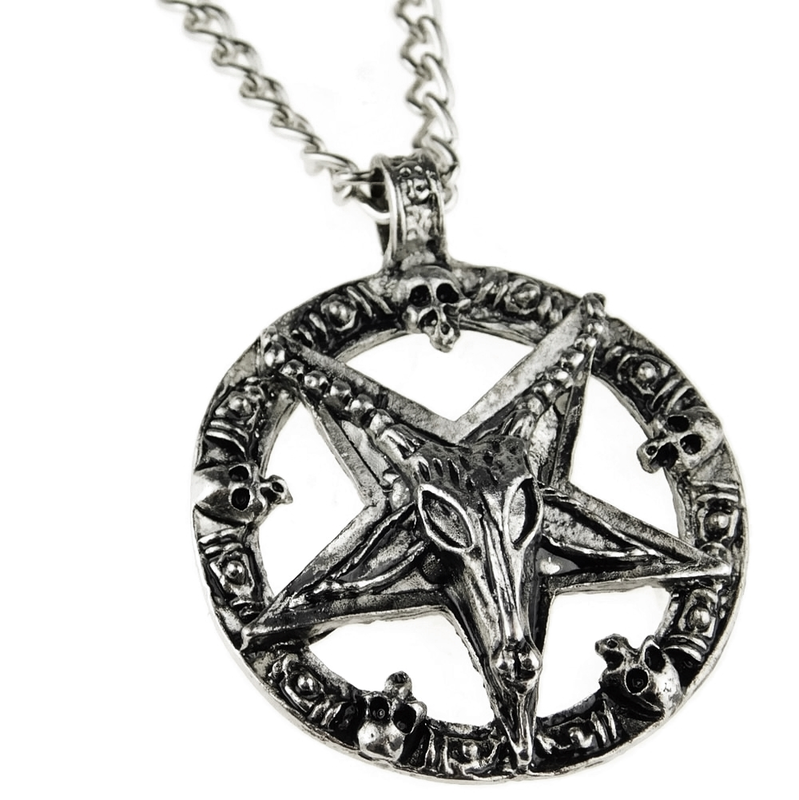 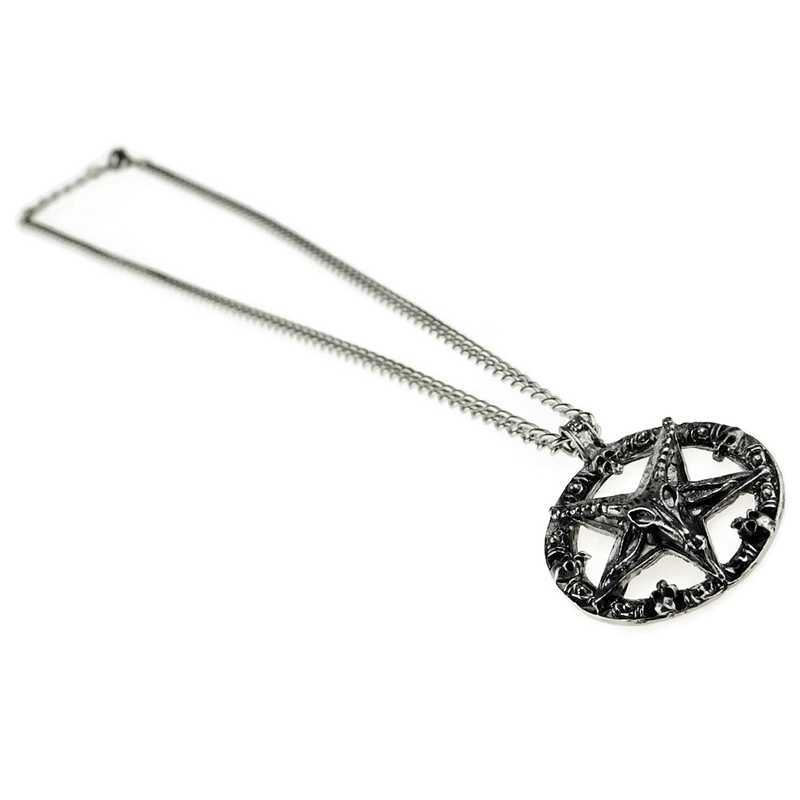 Round Baphomet goat pentagram star pendant is 1.5" and is stunningly detailed. 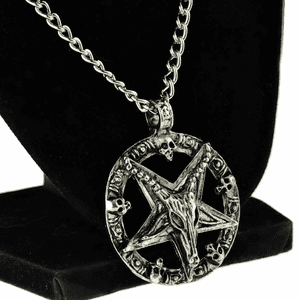 Baphomet occult pentagram is embellished with small skulls circling around the perimeter.